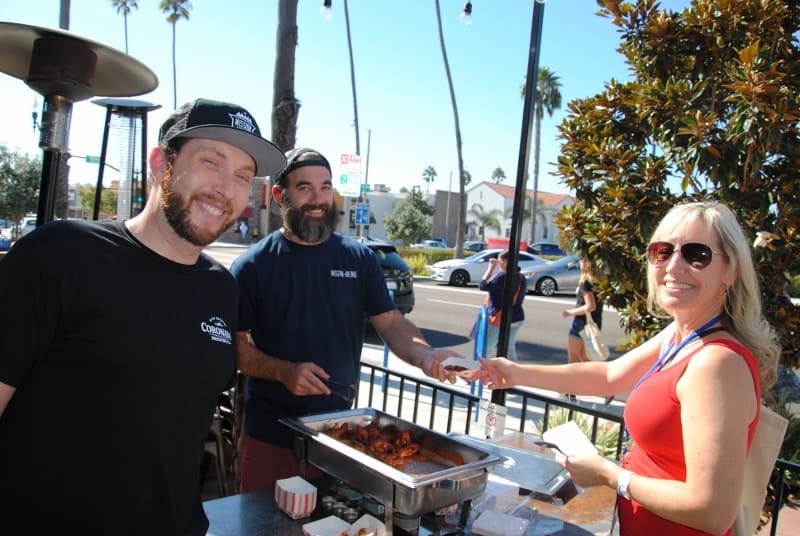 There are always many great reasons to visit Oceanside and last Saturday was no exception. 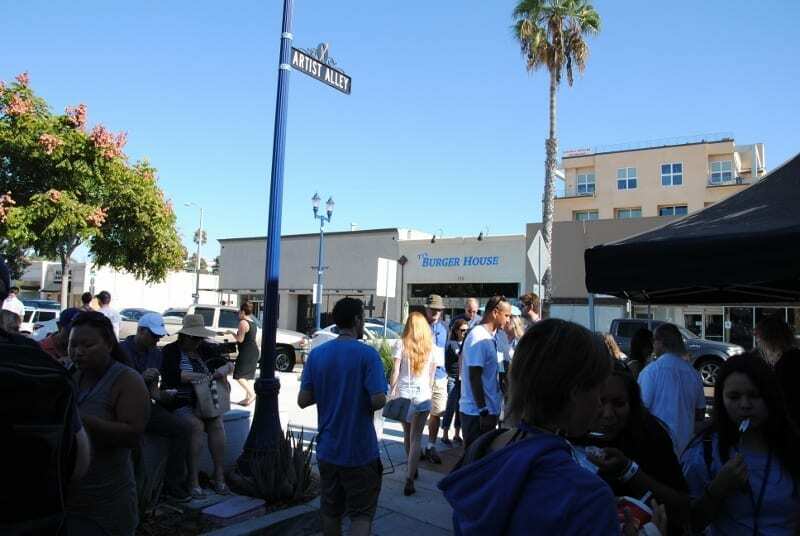 Mossy Nissan Oceanside sponsored the Taste of Oceanside from 2-5pm. 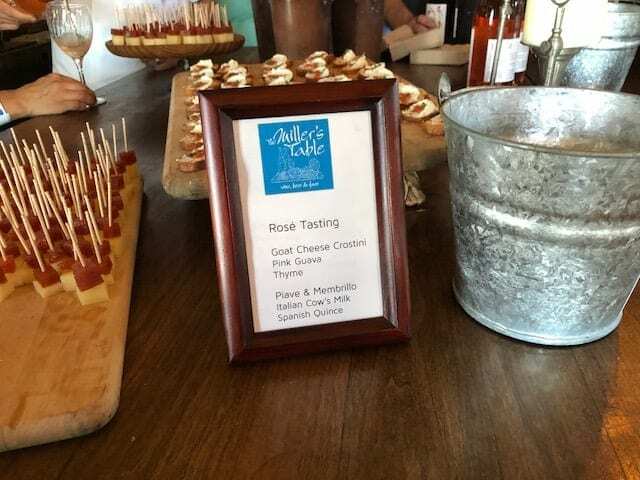 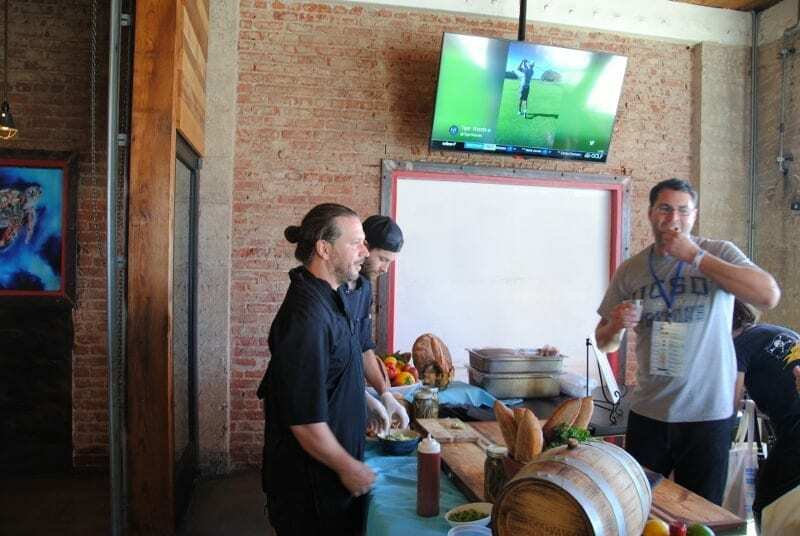 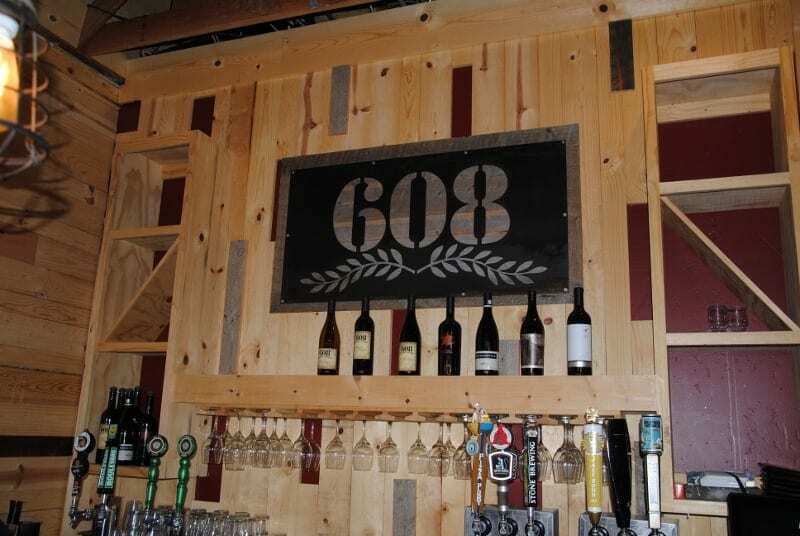 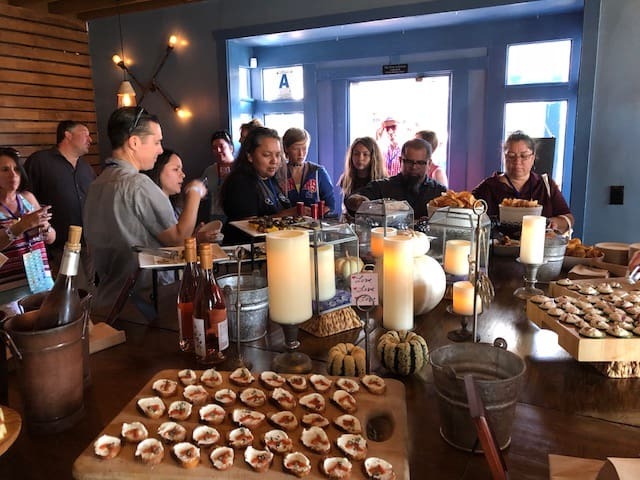 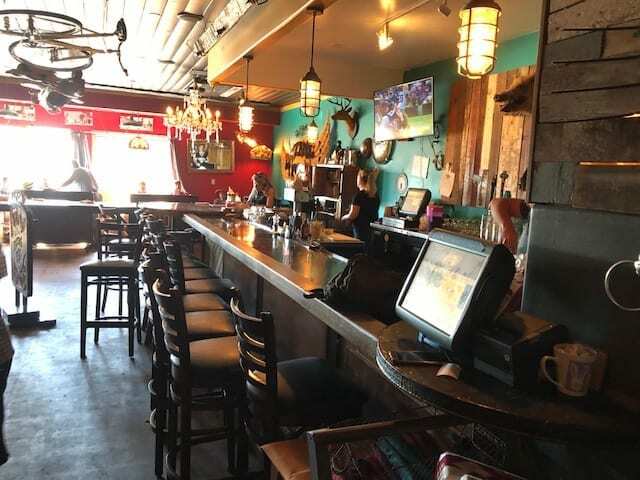 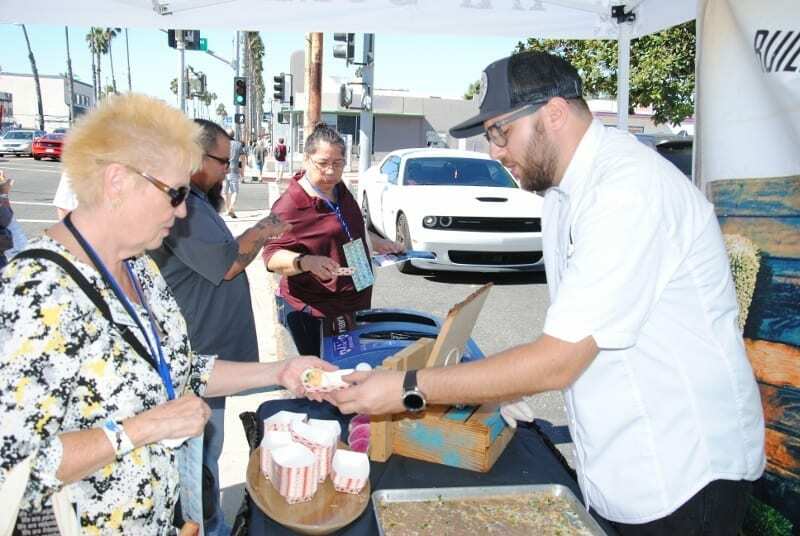 Twenty nine restaurants participated and provided tasting samples of a specialty from their menus and other businesses opened up their doors for lots of Tastin’ and Sippin’. 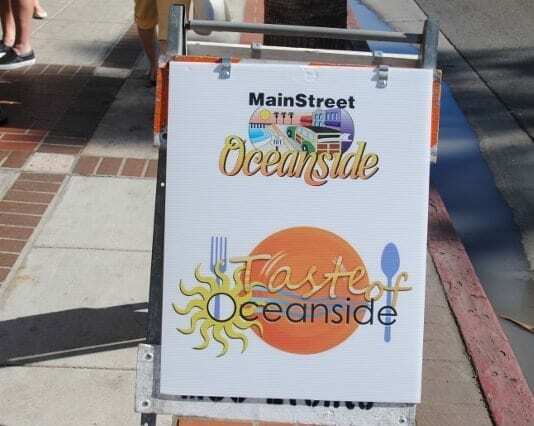 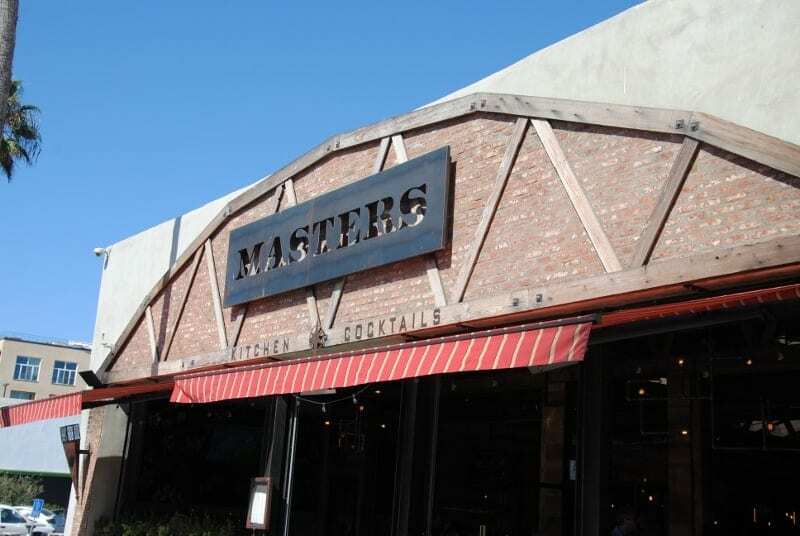 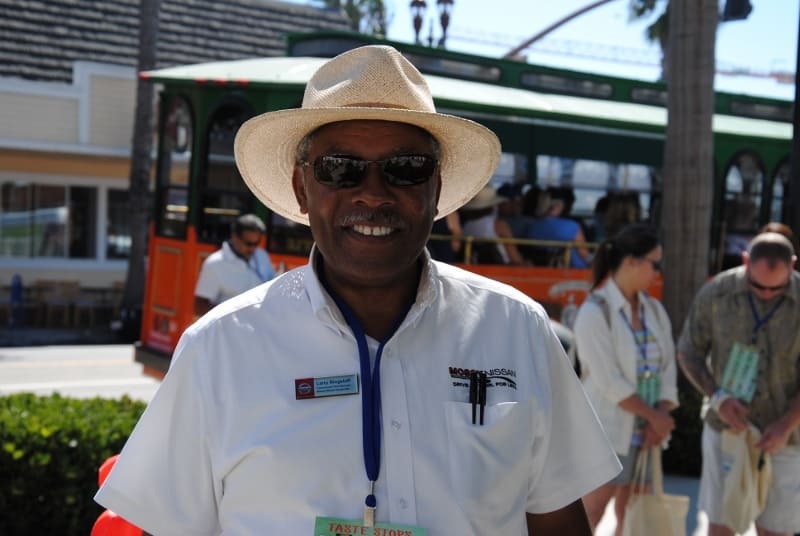 The event was hosted by Mainstreet Oceanside. 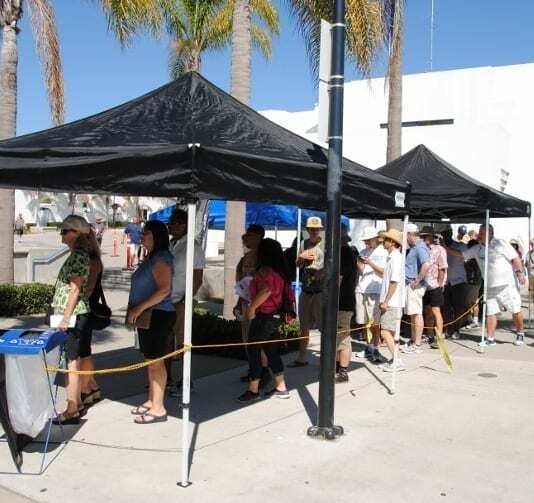 We found plenty of free parking at the Civic Center parking lot. 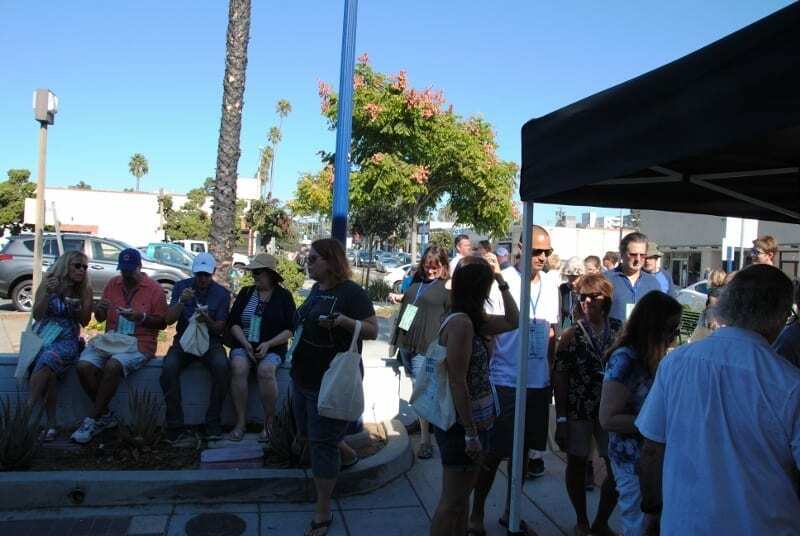 The start of the event was located in the Oceanside Library courtyard where attendees received a goodie bag and a card listing all of the Taste and Sip Stops. 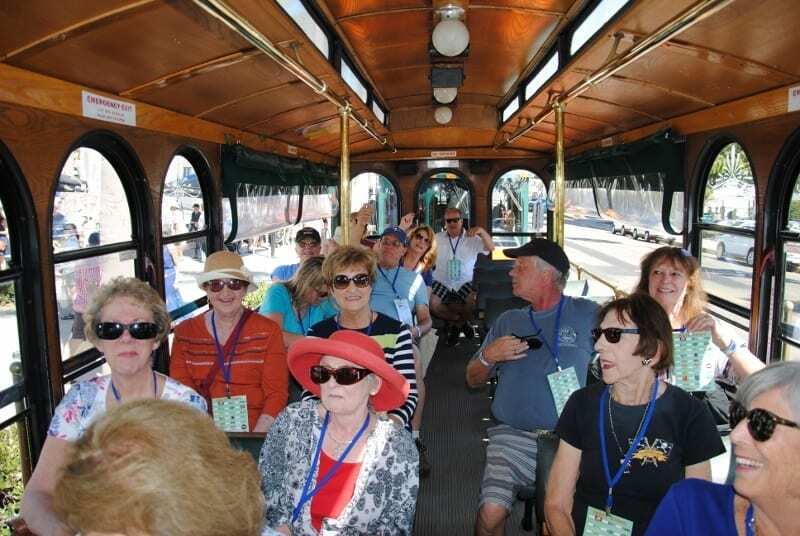 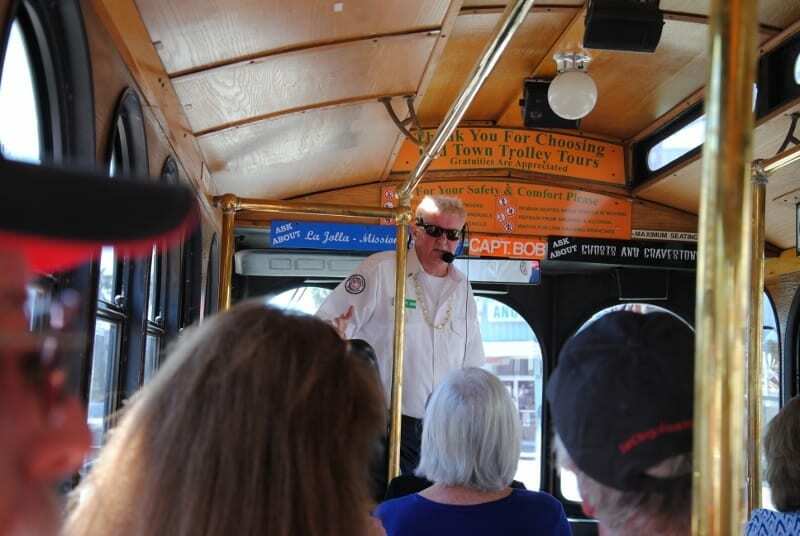 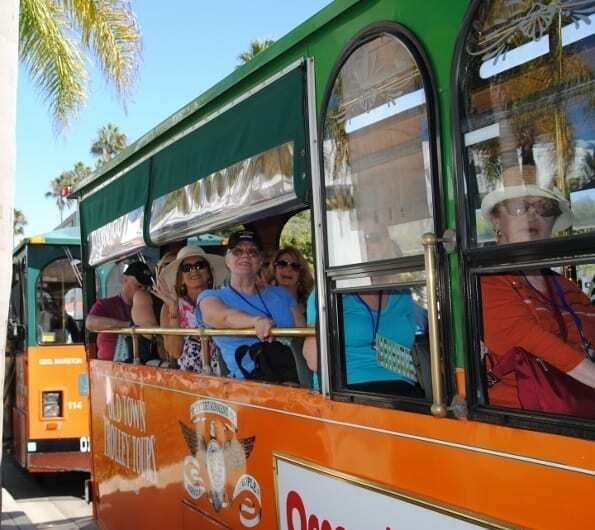 The check-in procedure was organized and efficient and at that point you could walk to a close restaurant or board one of two trolleys that transported you to several different restaurants on the route. 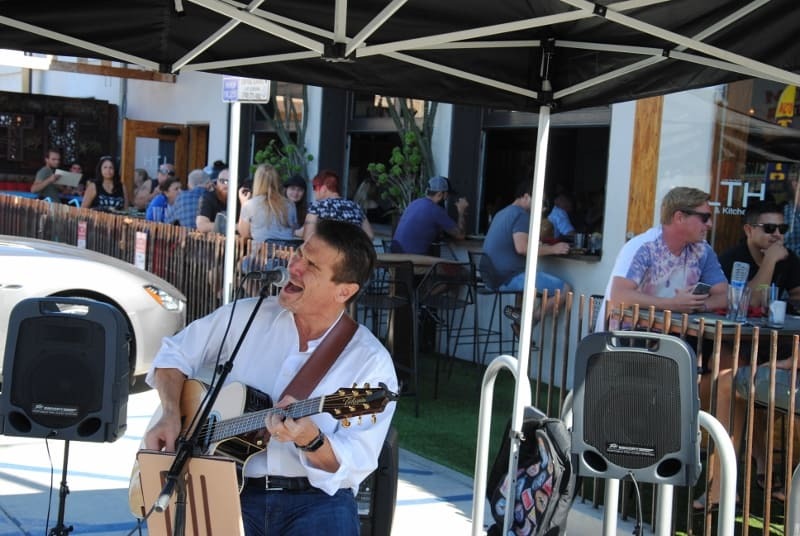 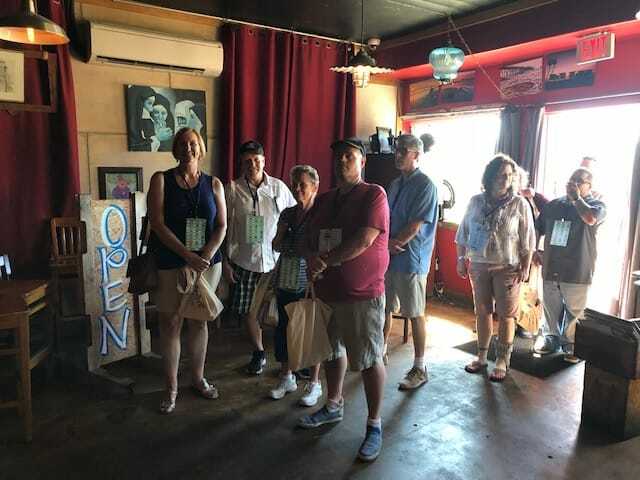 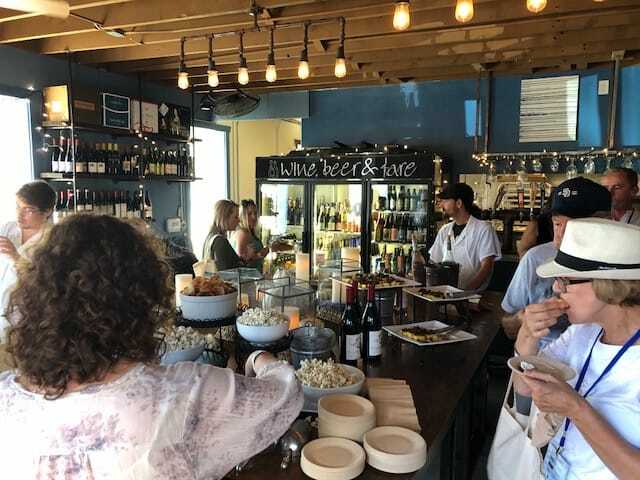 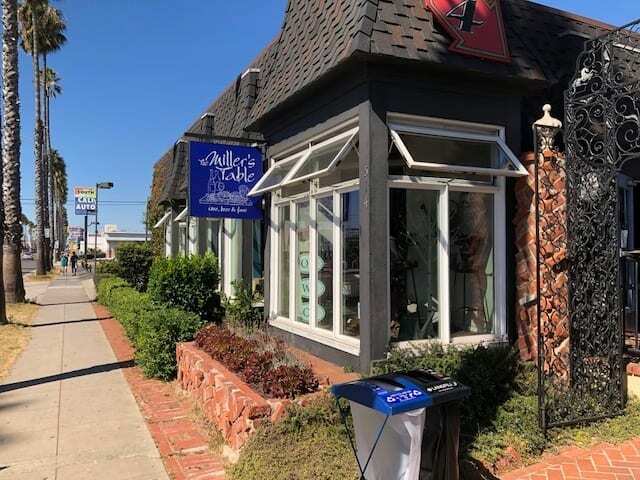 Along with the Taste Stops there were eleven Sip Stops which provided wine and craft beer from ten wine and beer sponsors located in businesses from Coast Jewelry, Century 21 Real Estate, Whitlock Surf and nine others in downtown. 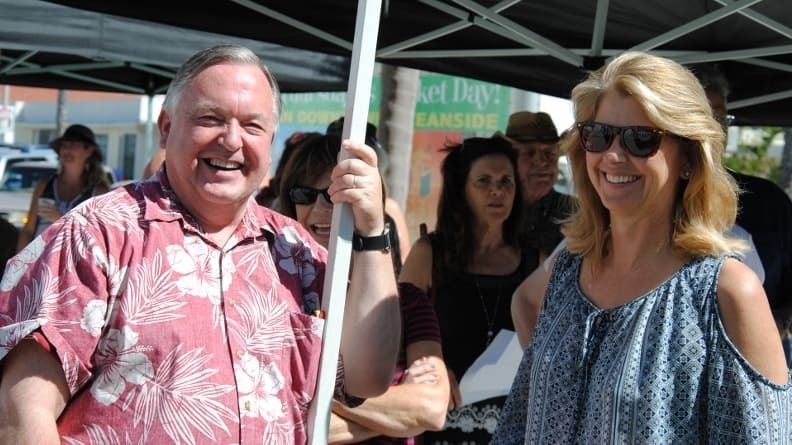 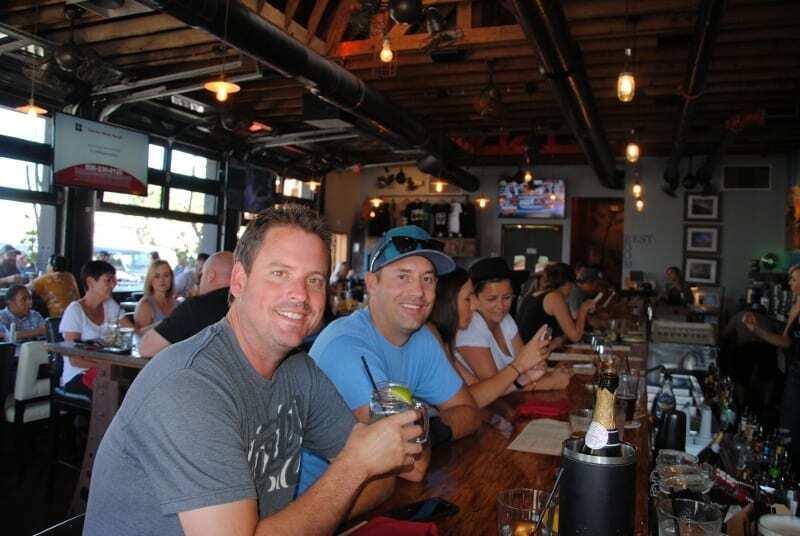 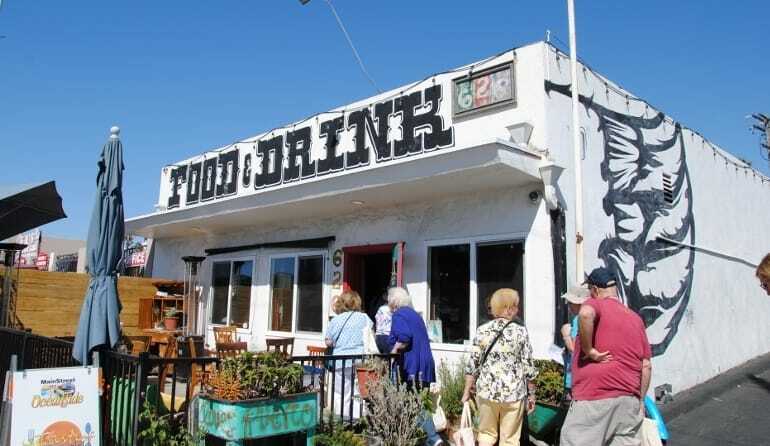 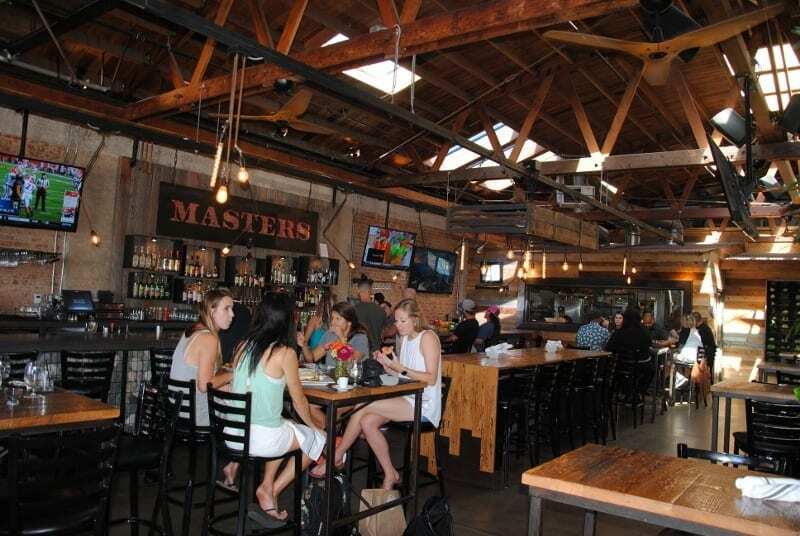 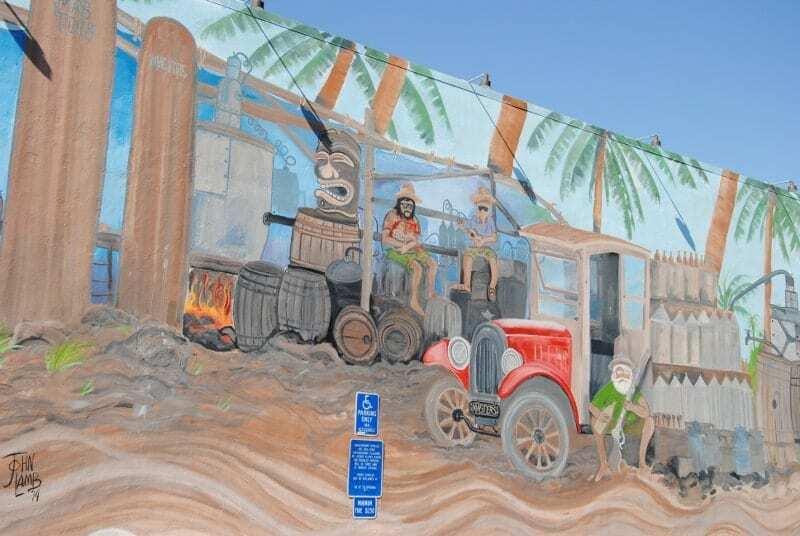 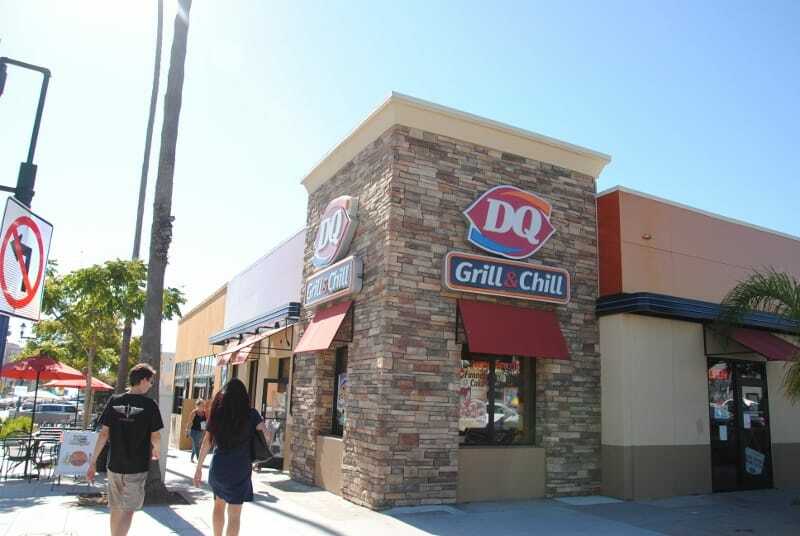 This is a great feature to bring potential new customers inside local Oceanside businesses. 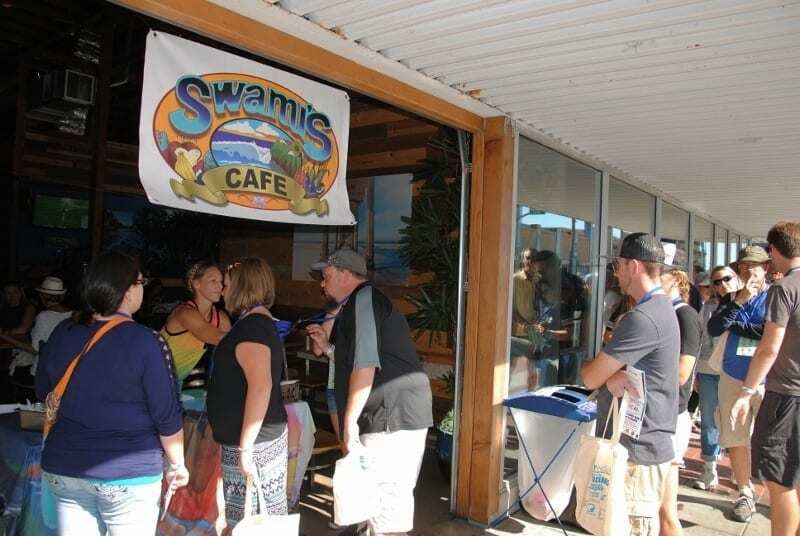 The attached photos will give you a “taste” of some of the stops along the route and the yummy samplings. 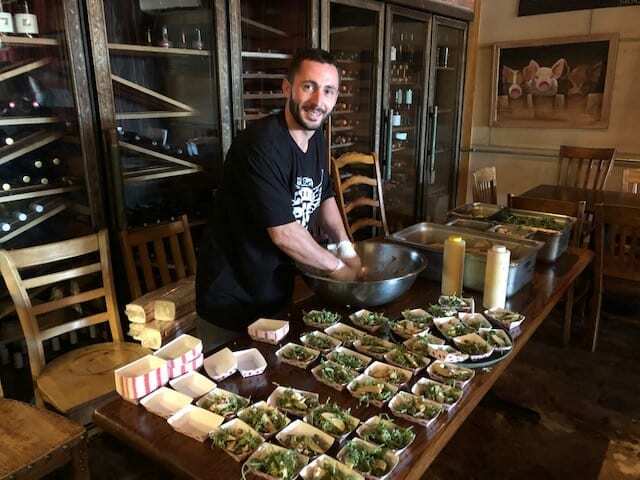 Flying Pig Server Jared Mistler served arugula w/pears, apples, blue cheese crumbles, candied walnuts & white balsamic vinegar sauce. 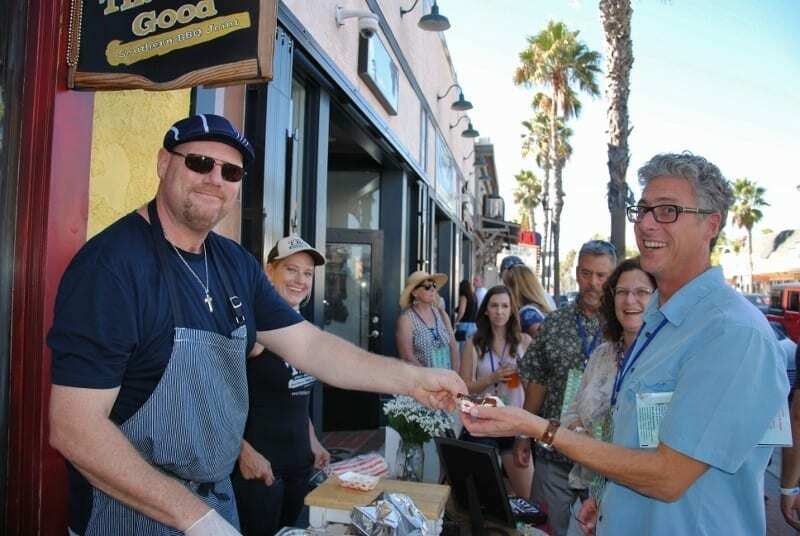 A special feature of this years Taste of Oceanside is the Spork. 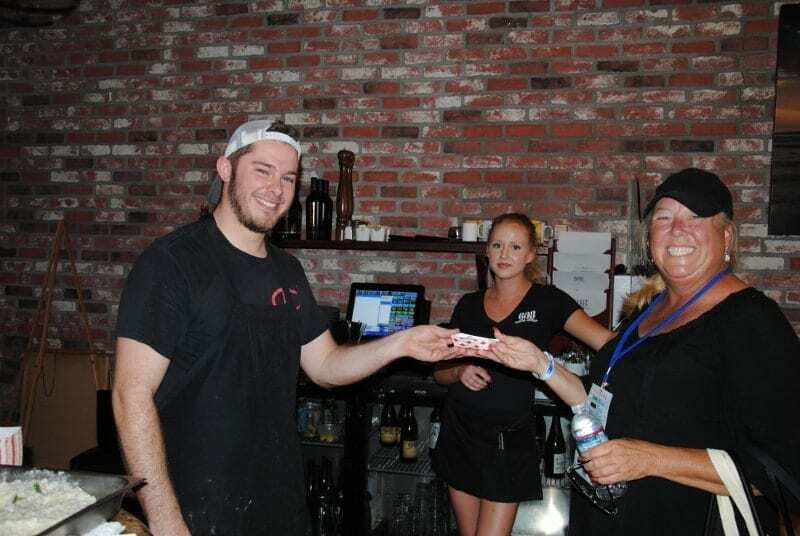 Each person received a reusable spork which eliminated the needless waste of 28,000 disposable forks in a Single 3 Hour Event! 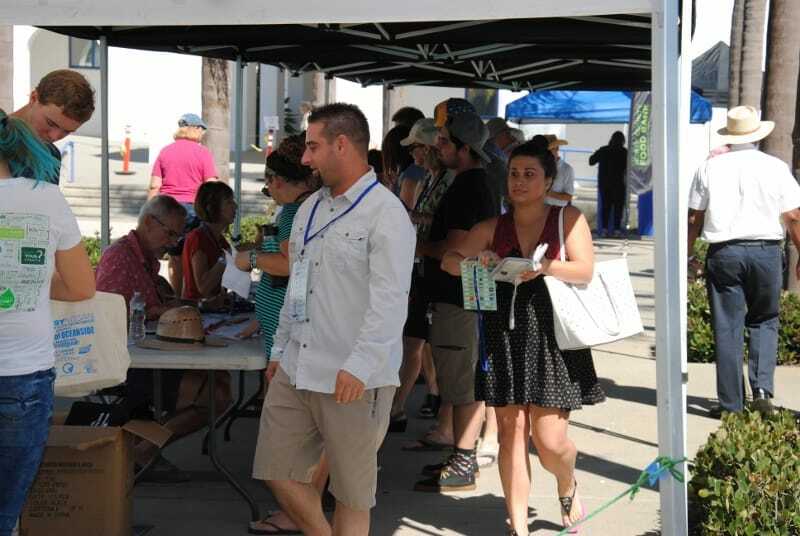 Ditch disposables…use reusables! 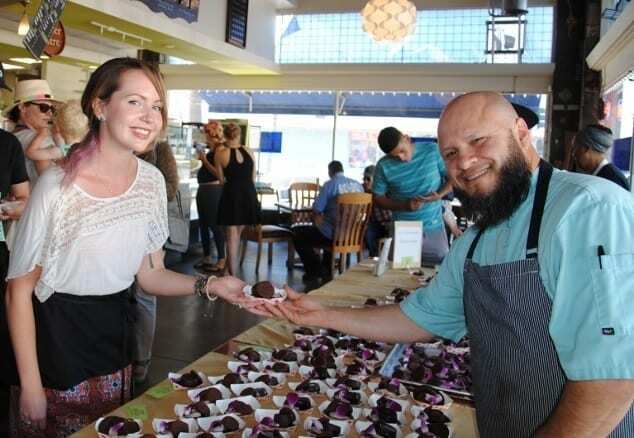 Taste To Zero Waste! 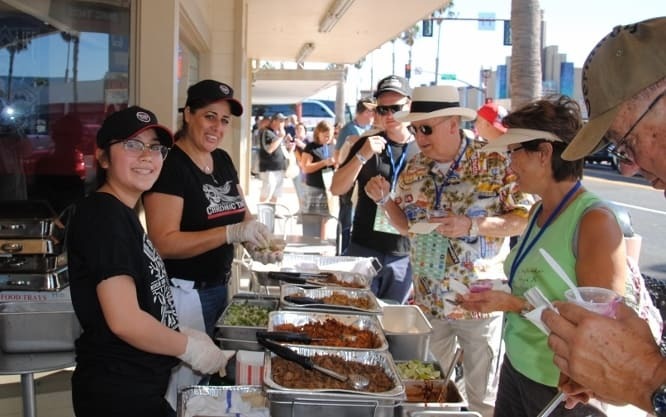 This event is held every year so mark your calendars for the first weekend of October 2018.